Sometimes bad weather leads to good things like increased sales for Chrysler’s Jeep and Dodge brands. 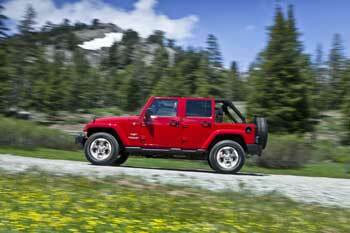 Jeep brand sales, up 47 percent in February, are the brand’s best February sales ever and the largest percentage sales gain of any Chrysler Group brand for the month. The Compass, Patriot and Wrangler each set sales records for the month of February. Grand Cherokee sales were up 34 percent while the all-new Jeep Cherokee mid-size SUV were up 12 percent compared with sales in January. Dodge Ram pickup trucks posted its best February sales in eight years, up 26%. Read more here.